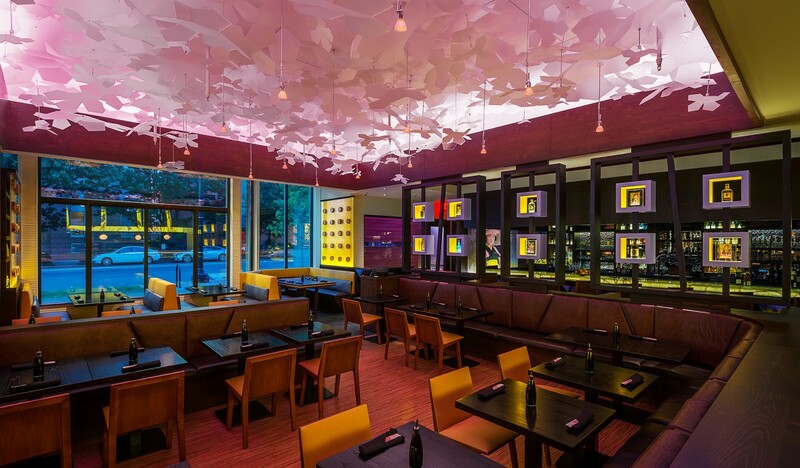 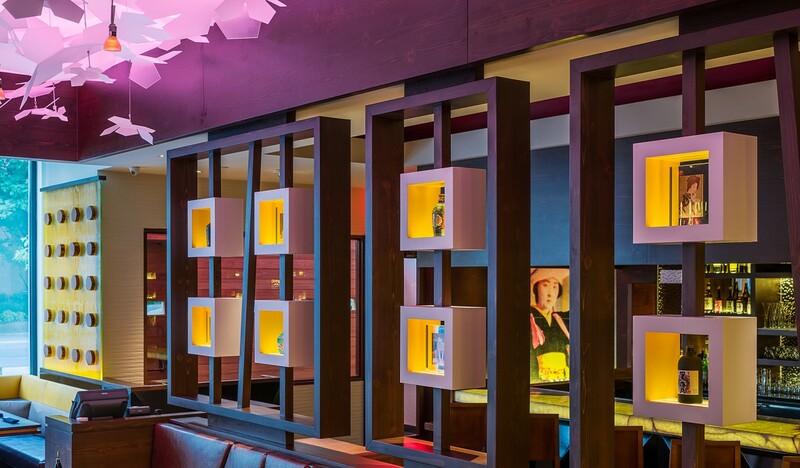 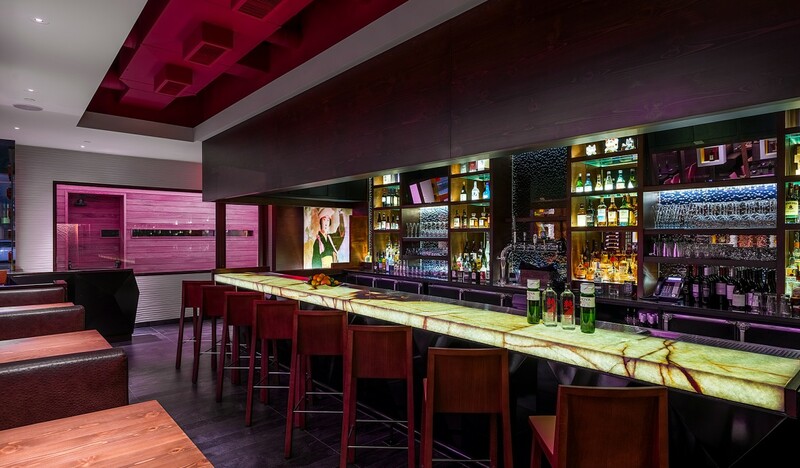 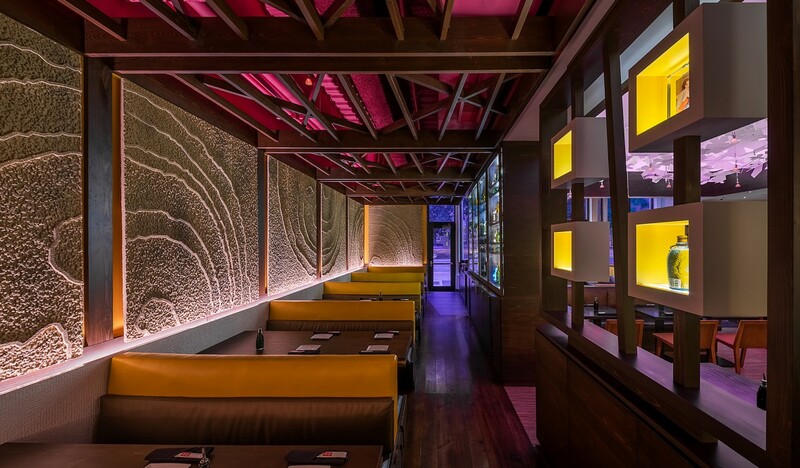 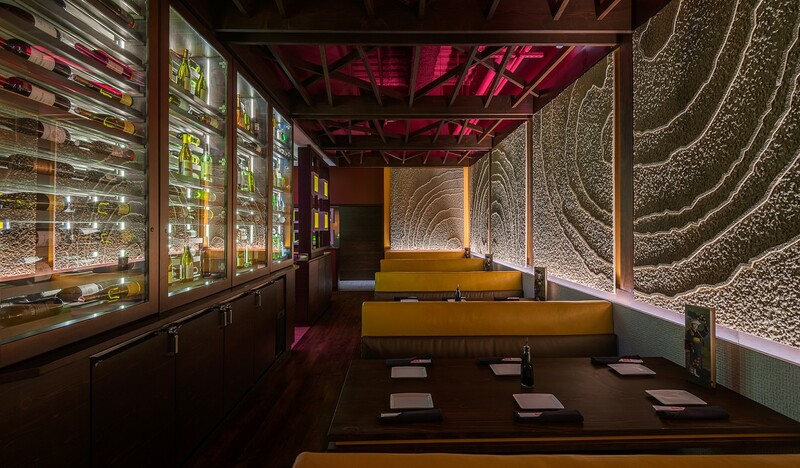 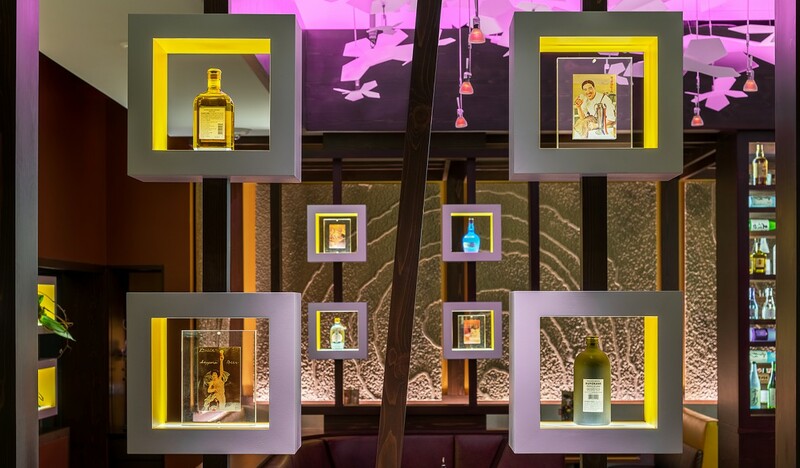 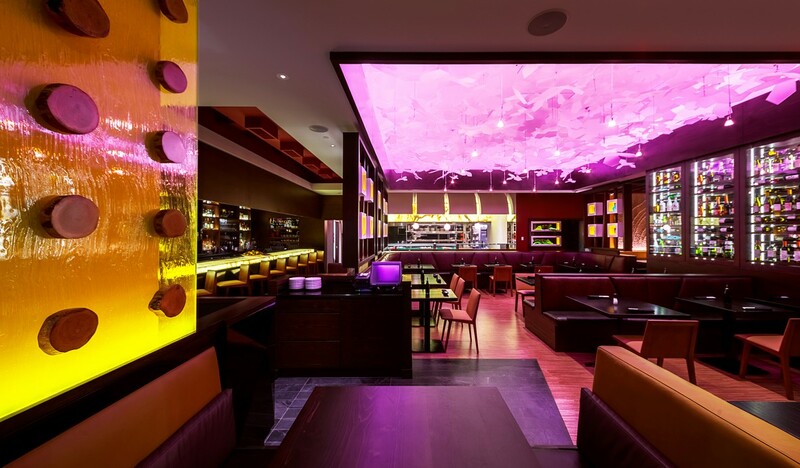 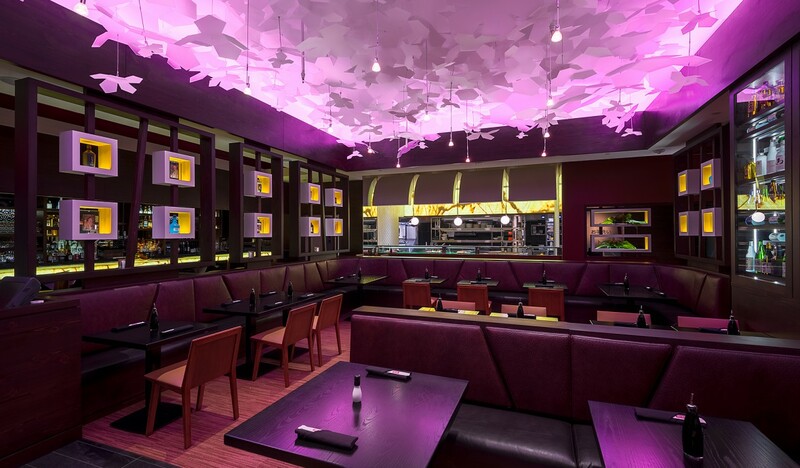 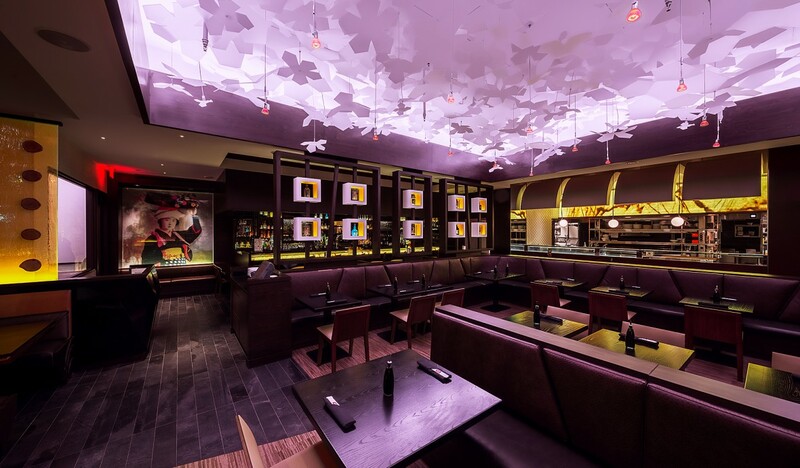 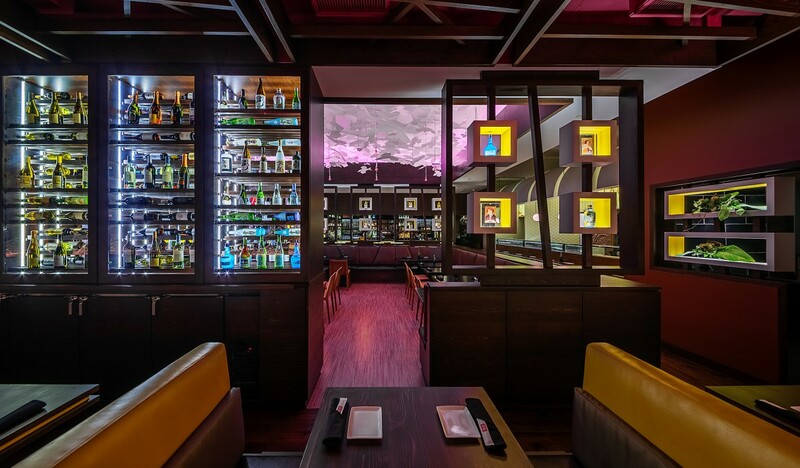 Upon entering Raku, guests discover that everything about is aglow—from the illuminated onyx bar, to the purple and gold light filtering through the extensive millwork, to the incandescent canopy ceiling of white two-dimensional flowers. 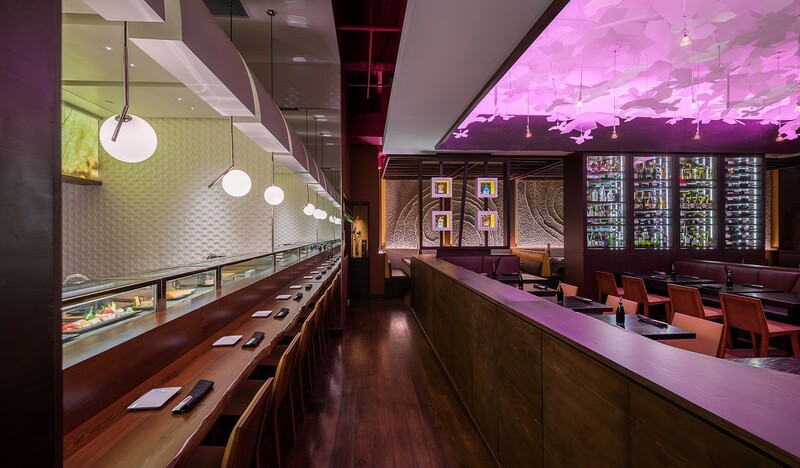 Many of these features were secured after extensive value engineering, directed by restaurant general contractor Hospitality Construction Services. 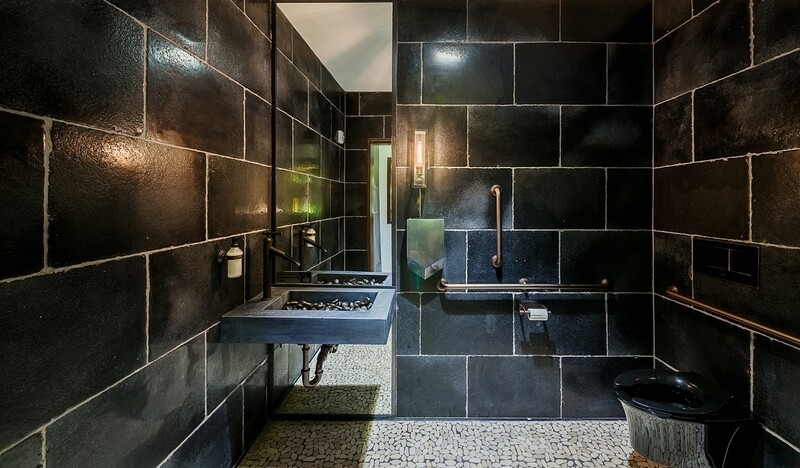 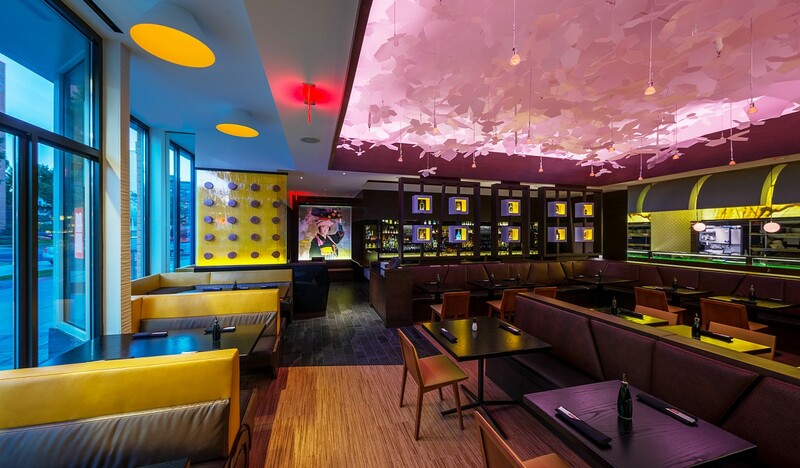 Helmed by Rob Mescolotto, the firm ultimately saved the client over $400,000 while still maintaining the original design intent. 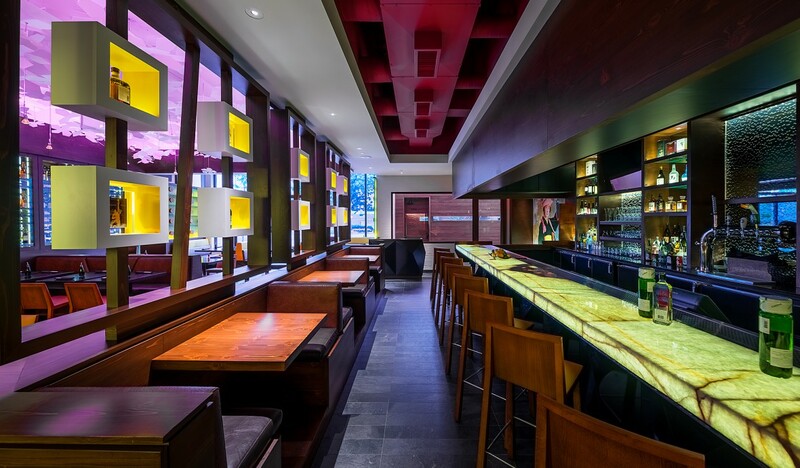 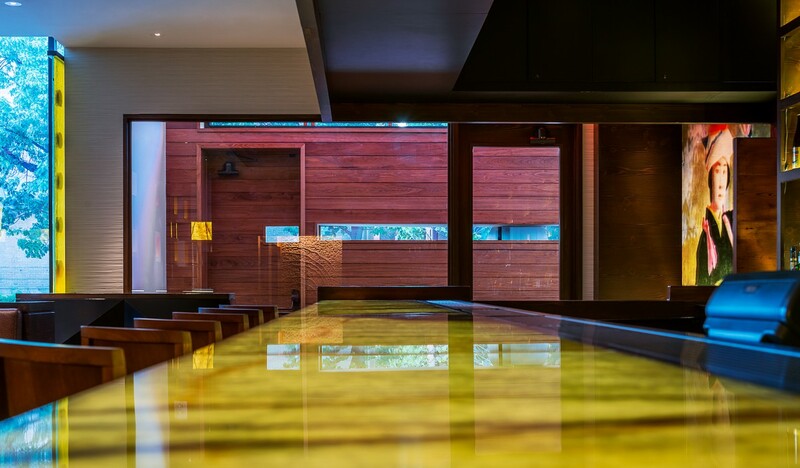 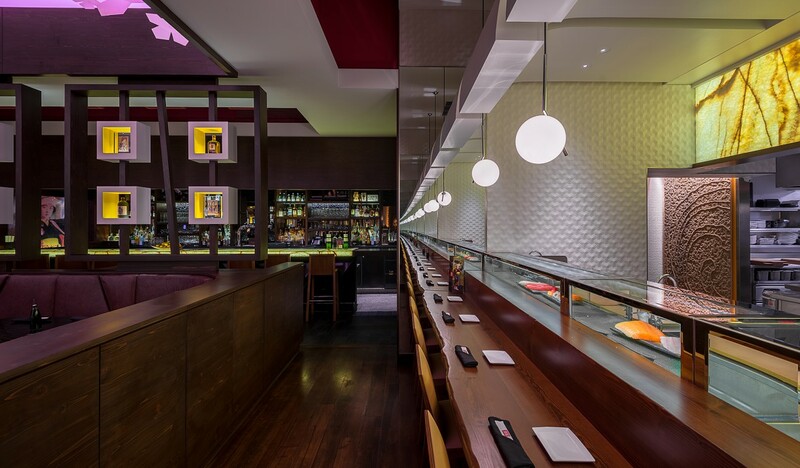 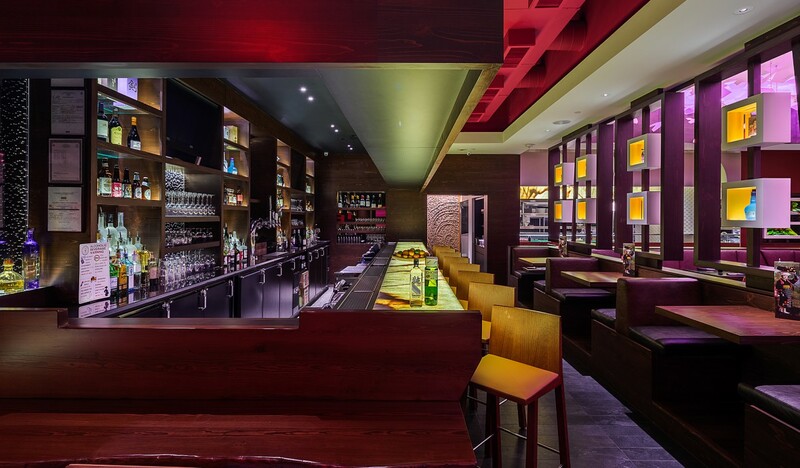 Hospitality Construction Services, which is based in D.C., worked closely with design firm 2SCALE Interiors to bring this local Japanese sushi fusion concept to life.